With the holiday season in full swing, we've been to more than one holiday party featuring alcohol. At AACEA, we love a good holiday party just as much as the next – but we want to emphasize how important it is to have a safe holiday season. 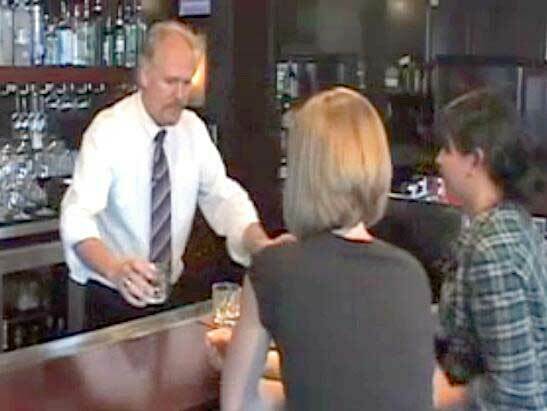 AACEA’s certified bartenders gain valuable experience like cutting off inebriated customers at our mandatory alcohol server training classes. We provide online alcohol server training, while promoting responsible service and sales of alcohol. To get your servers permit, visit www.aacea.com. UC Davis reports that one of the unfortunate consequences of the holiday season is a sharp increase in alcohol-related accidents and deaths. "Many partygoers don't drink often, leaving them with low tolerance and more vulnerability to alcohol's effects. At the other extreme are problem drinkers who find plenty of social occasions to drink and may feel less inhibited at parties where alcohol is liberally served," their report says. Statistics show that during Christmas and New Year’s, 2-3 times more people die in alcohol-related crashes than during comparable periods the rest of the year. 40% of traffic fatalities during these holidays involve a driver who is alcohol-impaired, compared to 28% for the rest of December. What many drinkers don't realize is that the effects of alcohol on critical motor skills happen LONG before the effects of intoxication are visible. The sedative effects of alcohol can also become a problem - from lack of focus to nodding off at the wheel. Driving at night only increases this effect. Driving abilities may even be impaired the next day, when any alcohol remaining in the system, or the headache and disorientation associated with hangovers, contributes to feelings of sluggishness, even though the person no longer feels drunk. The biggest issue many drinkers forget is that the only sobriety cure is time. Because people are so different, it is difficult to give specific advice about drinking, but certain facts are clear—there’s no way to speed up the brain’s recovery from alcohol and no way to make good decisions when you are drinking too much, too fast. This holiday season, be responsible with alcohol. If you drink, pace yourself. Have “drink spacers”—make every other drink a nonalcoholic one. Know what constitutes a standard drink and have no more than one per hour. Remember that a designated driver is someone who hasn’t had any alcohol, not simply the person in your group who drank the least. Our mandatory alcohol server training teaches alcohol servers how much alcohol constitutes a drink, how to spot inebriated customers, and how to diffuse customers who've had too much. AACEA is also committed to ensuring everyone has a safe holiday season by reminding you to drink responsibly. Happy Holidays from AACEA!